The federal government will move ahead with its planned military facility in Resolute, Nunavut. The centre will focus on training for disasters instead of Arctic warfare. The federal government will move ahead with its planned military facility in Resolute, Nunavut. Prime Minister Stephen Harper promised an Arctic warfare training facility in 2007. The facility looks like it will now become reality, but with a few changes to the original plan. The new facility will focus mainly on training for disasters. "I think the tragic event of this past fall highlighted the need for being able to have a facility that we can operate out of," said Maj. Bill Chambré with the Department of National Defence. In August, 12 people died when a 737-jet slammed in to a hill near the airport. Soldiers responded right away and helped save three lives because they happened to be training in Resolute at the time. Chambré says instead of a facility dedicated solely to protecting Canadian Arctic sovereignty, soldiers there will learn how to respond to accidents and disasters in the High Arctic. "My focus is mainly building a training facility but to also have a facility where we can conduct operations." The facility will be built on to the existing Polar Continental Shelf Project research base, which is already the largest in the community. It will have a warehouse for 40 snowmobiles and ATVs, accommodations for 140 people, and a small infirmary. It will also have an operations centre and classrooms. The building’s price tag is $18 million and the final design is expected to be complete by next month. 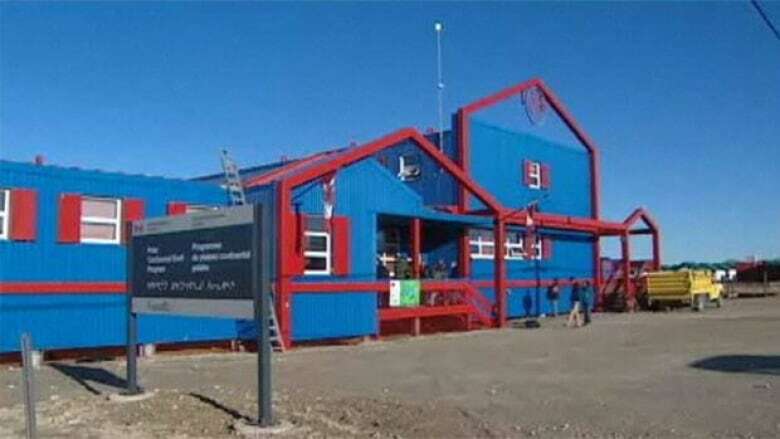 Chambré insists it is not the permanent search and rescue base northerners have called for because it’s unlikely the military will use the facility year round. The government plans to work out of the facility mostly during winter, with people from other government departments working there mainly in summer. "I certainly don't see this going idle, especially when we have two government departments sharing," said Chambré. Building materials will arrive in Resolute on the next sealift, and construction is scheduled to be complete by 2013.